J. D. Salinger, best known for his controversial novel The Catcher in the Rye (1951), is recognized by critics and readers alike as one of the most popular and influential authors of American fiction during the second half of the twentieth century. Growing up in the "House of Glass"
Jerome David Salinger was born in New York City on January 1, 1919, and like the members of the fictional Glass family that appear in some of his works, was the product of mixed parentage—his father was Jewish and his mother was Scotch-Irish. Salinger's upbringing was not unlike that of Holden Caulfield of The Catcher in the Rye, the Glass children, and many of his other characters. Unlike the Glass family with its brood of seven children, Salinger had only an elder sister. He grew up in fashionable areas of Manhattan and for a time attended public schools. Later, the young Salinger attended prep schools where he apparently found it difficult to adjust. In 1934 his father enrolled him at Valley Forge Military Academy near Wayne, Pennsylvania, where he stayed for approximately two years, graduating in June of 1936. Salinger maintained average grades and was an active, if at times distant, participant in a number of extracurricular activities. He began to write fiction, often by flashlight under his blankets after the hour when lights had to be turned out. Salinger contributed work to the school's literary magazine, served as literary editor of the yearbook during his senior year, participated in the chorus, and was active in drama club productions. He is also credited with composing the words to the school's anthem. of a college education. This attitude found its way into much of his writing, as there is a pattern throughout his work of impatience with formal learning and academic types. Despite Salinger's dislike of formal education, he attended Columbia University in 1939 and participated in a class on short story writing taught by Whit Burnett (1899–1973). Burnett, a writer and important editor, made a lasting impression on the young author, and it was in the magazine Story, founded and edited by Burnett, that Salinger published his first story, "The Young Folks," in the spring of 1940. Encouraged by the success of this effort, Salinger continued to write and after a year of rejection slips finally broke into the rank of well-paying magazines catering to popular reading tastes. Salinger entered military service in 1942 and served until the end of World War II (1939–45; a war in which Allied forces led by Great Britain, France, the Soviet Union, and the United States fought with the Axis forces of Germany, Italy, and Japan). Salinger participated in the Normandy campaign, when Allied forces landed on French shores and turned the tide of the war, and the liberation of France from the occupying German army. He continued to write and publish while in the army, carrying a portable typewriter with him in the back of his jeep. After returning to the United States, Salinger's career as a writer of serious fiction took off. In 1946 the New Yorker published his story "Slight Rebellion Off Madison," which was later rewritten to become a part of The Catcher in the Rye. In 1951 Salinger's masterpiece The Catcher in the Rye landed at bookstores. In The Catcher in the Rye, Holden Caulfield is driven to the brink of a nervous breakdown by his disgust for the "phoniness" of the adult world that he is about to enter. He finds peace only in the presence of Phoebe, his young sister. Taking flight from this world, Holden plans to head west, where he hopes to live a peaceful existence in a log cabin. However, he begins his journey by traveling to New York where he plans to say goodbye to his sister, and on the way he participates in a series of humorous adventures. Such a confusion in direction is characteristic of Caulfield, as there seems to be a pattern of impulsive behavior in many of his actions. One of Salinger's more subtle devices is to discredit his main character by placing him in situations wherein his own phoniness is exposed. In these situations his character is made all the more interesting through what readers quickly see as his sensitivity and intelligence. It is little wonder that The Catcher in the Rye quickly became a favorite among young people; it skillfully demonstrates the adolescent experience with its spirit of rebellion. At various points in history, The Catcher in the Rye has been banned by public libraries, schools, and bookstores due to its presumed profanity (bad language), sexual subject matter, and rejection of traditional American values. Despite its popular success, the critical response to The Catcher in the Rye was slow in getting underway. It was not until Nine Stories, a collection of previously published short stories came out in 1953 that Salinger began to attract serious critical attention. Salinger did not publish another book until 1961, when his much anticipated Franny and Zooey appeared. This work consists of two long short stories, previously published in the New Yorker. Each concerns a crisis in the life of the youngest member of his fictional Glass family—the quirky characters who populate most of his work. In 1963 Salinger published another Glass family story sequence, Raise High the Roof Beam, Carpenters; and Seymour: An Introduction, again from two previously published New Yorker pieces. Both stories revolve around the life and tragic death of Seymour Glass, the eldest of the Glass children, as narrated by his brother Buddy Glass, who is frequently identified as Salinger's alter-ego, or a representation of the author's personality. While Salinger's fictional characters have been endlessly analyzed and discussed, the author himself has remained a mystery. Since the publication of The Catcher in the Rye, he has consistently avoided contact with the public, obstructing attempts by those wishing to pry into his personal life. In 1987 he successfully blocked the publication of an unauthorized biography by Ian Hamilton. 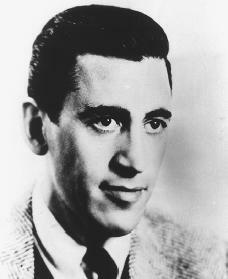 In his lawsuit, Salinger claimed copyright infringement on private matters Hamilton had discovered in the course of research. Even after revising his material, Hamilton was unable to satisfy Salinger or the court and was forced to withdraw the book. In 1988 an extensively revised version of Hamilton's work was published under the title In Search of J. D. Salinger, which represents a comprehensive study of the author and his work. Deemed the "Summer of Salinger" by columnist Liz Smith, the summer of 1999 saw the release of the latest Salinger biography and the sale of love letters the author wrote to a former girlfriend, which sold for $156,000. The letters were bought by software millionaire Peter Norton, who returned the letters to the author. Paul Alexander's Salinger: A Biography, published on July 15, 1999, is the first full-length Salinger biography since Ian Hamilton's in 1988. Salinger has not made an effort to limit the release of the book, unlike the Hamilton biography. In 1997 a rumor surfaced that a Salinger story originally printed in the New Yorker in 1965, "Hapworth 16, 1924," was soon to be released in book form. The publication is still planned but no date has been set. Today Salinger lives in seclusion in rural New Hampshire, writing for his own pleasure and presumably enjoying his private world. Alexander, Paul. Salinger: A Biography. Los Angeles: Renaissance Books, 1999. Bloom, Harold, ed. J. D. Salinger: Modern Critical Views. Chelsea House, 1987. Salinger, Margaret A. Dream Catcher: A Memoir. New York: Washington Square Press, 2000. I think this website is a slam dunk! 2 points for the Encylopedia of World Biography! Great article. Really helped with my research. Thanks a lot.